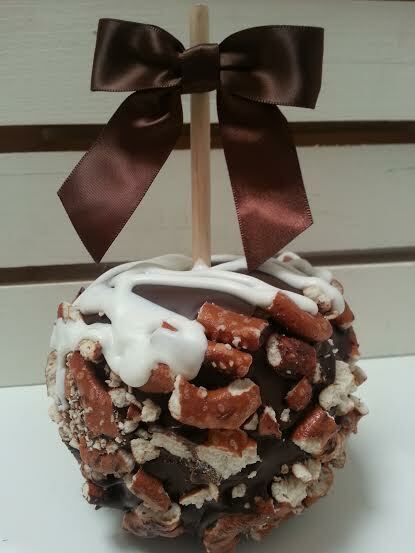 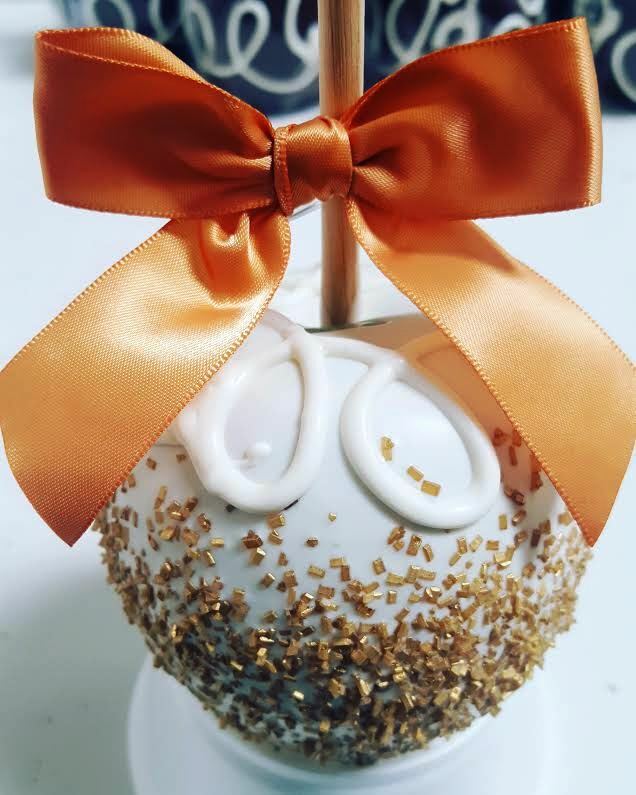 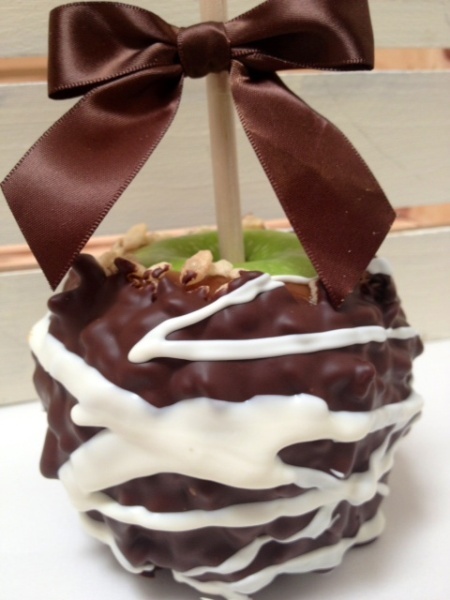 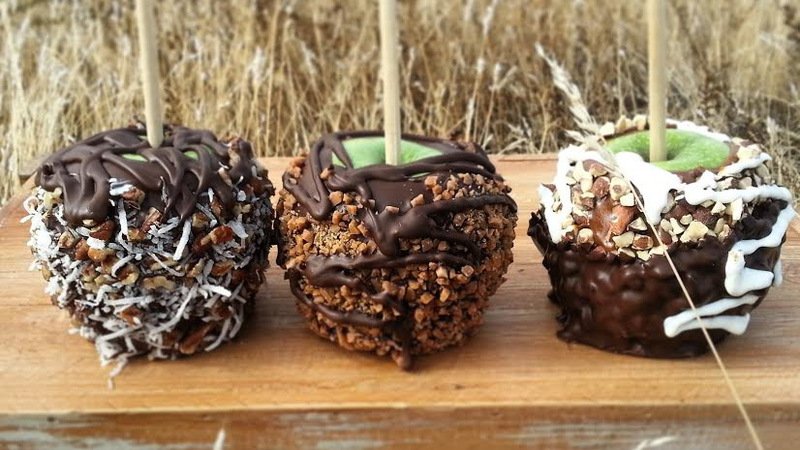 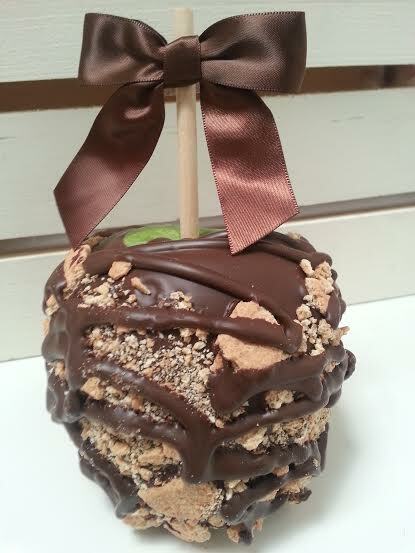 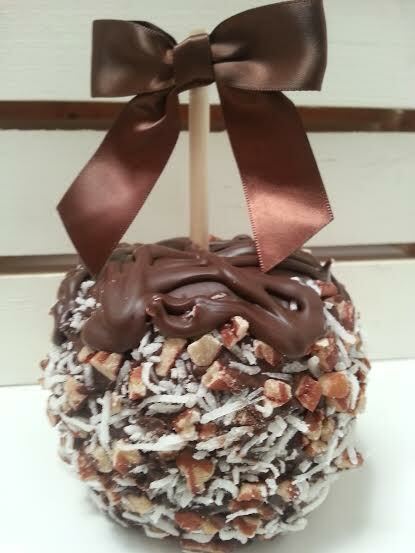 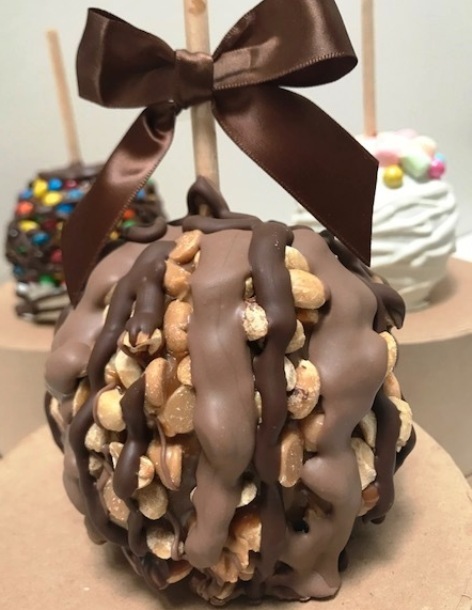 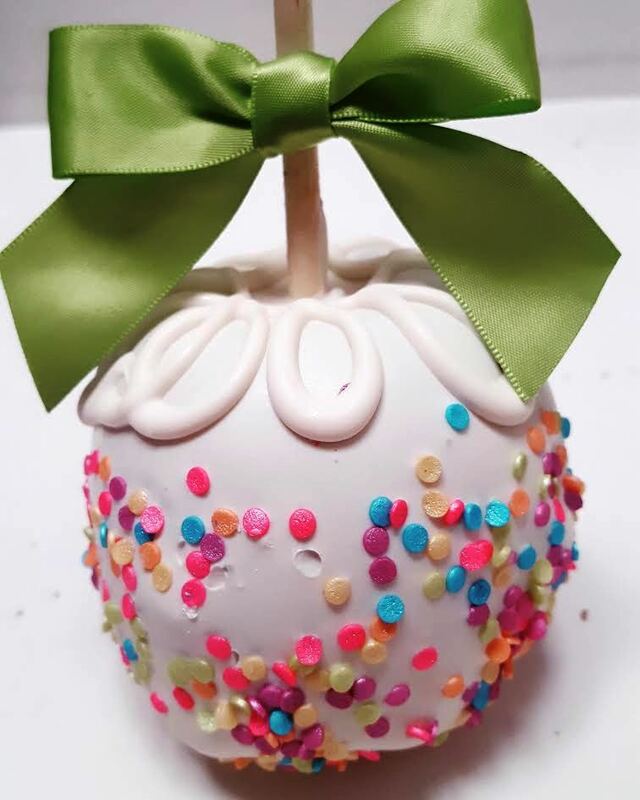 Our Gourmet Jumbo Caramel Apples are made fresh to order! 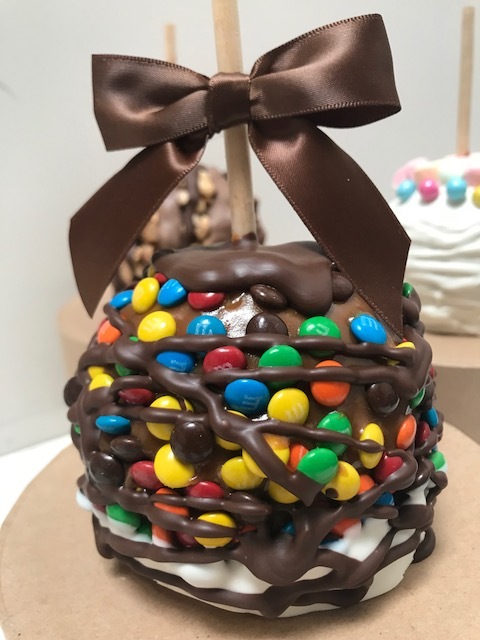 Each Jumbo Granny Smith Apple is dipped by hand in our freshly made, chewy caramel and dipped in a variety of Guittard Chocolates and delectable toppings. 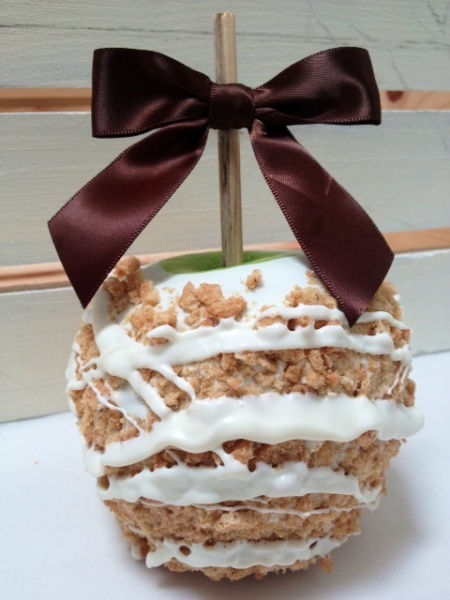 The apples come tailor wrapped in cello and tied with a beautiful satin bow. 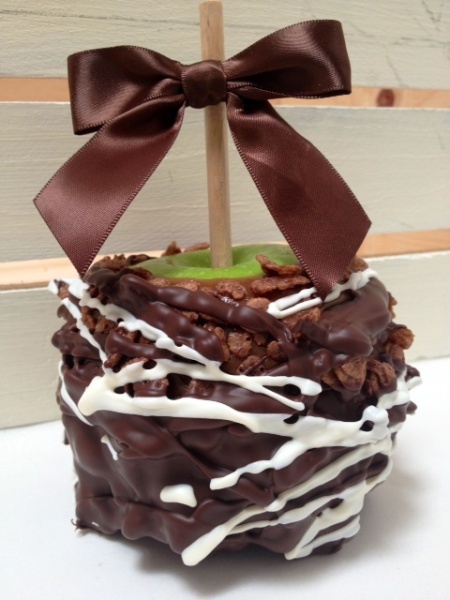 Apples come packaged in beautiful gift box.